Located on the ground level of Crown Towers six star Hotel at Crown Casino in Perth. 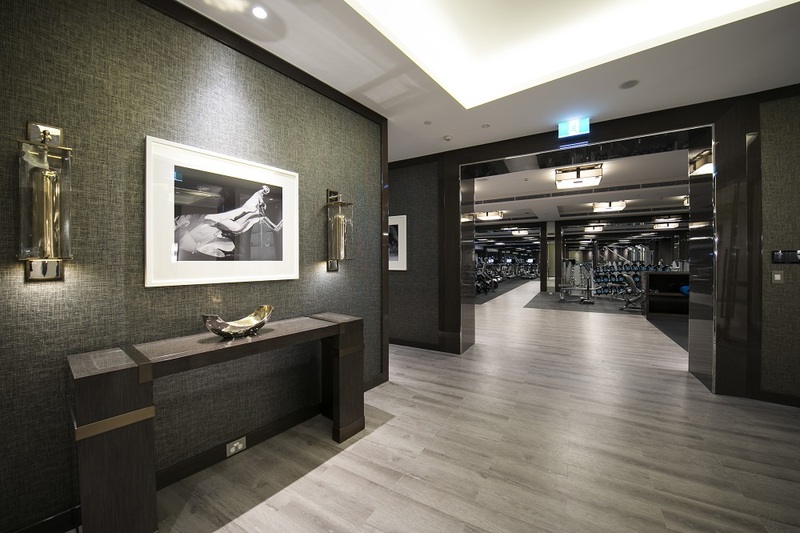 Is the new prestigious, luxury fitout of the Spa and Fitness Centre. Inspired by the beautiful refraction of light underwater the spa takes it guests into another world. The fitness centre offers generous workout areas with the very latest cardio and weight equipment. JBM Projects was involved with Brookfield Multiplex, Crown and its architects to bring the construction drawings to life through a stringent approval process. The attention to detail was at the highest level of joinery construction delivering impeccable quality to match the Crown brand. 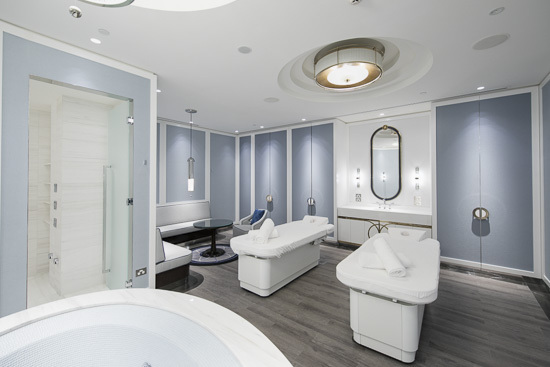 The Spa is an area of 1200m2 with the most sumptuous aqua-hued treatment rooms, aroma steam room, roman hot tub, sauna and private relaxation areas. 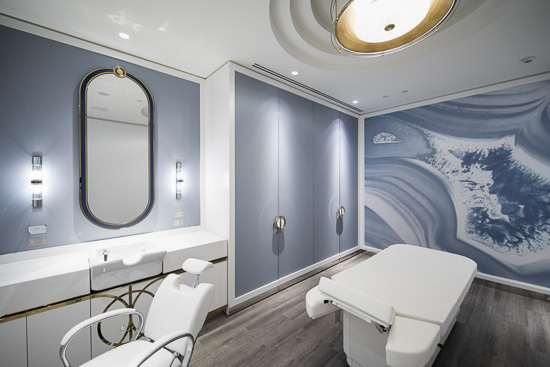 The detailed joinery materials in the reception, treatment rooms and change rooms were finished in high gloss, with polished stainless steel trims and fabric inlays to doors and curved upholstery seating in the highest quality of finishes. Detailed mouldings and hand painted patterns on walls underpin the underwater theme. The Fitness Centre is an area of 350m2 located across from the spa entry that offers hotel guests generous workout areas. The joinery doors and wall paneling were made of customer veneers finished in high gloss. 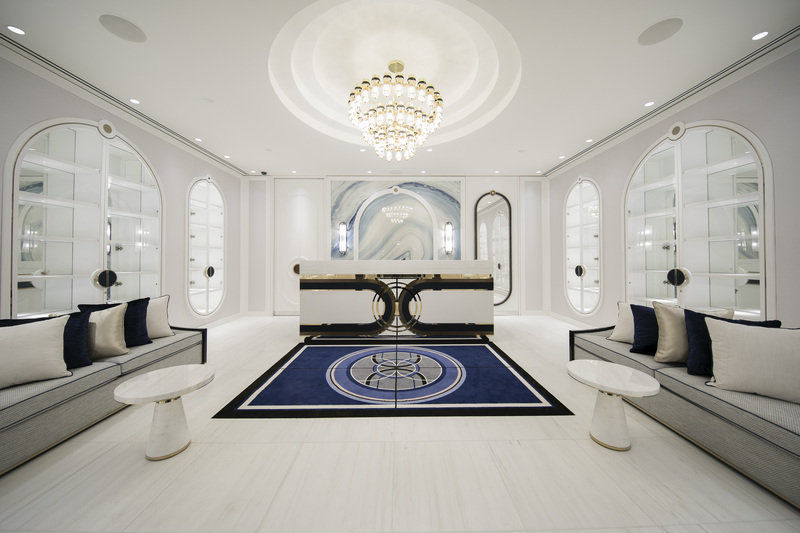 Polished stainless steel trims surrounded mirror panels, veneer columns and built in TV screens while the detailed mouldings surrounded the textured fabric panels in the entry.